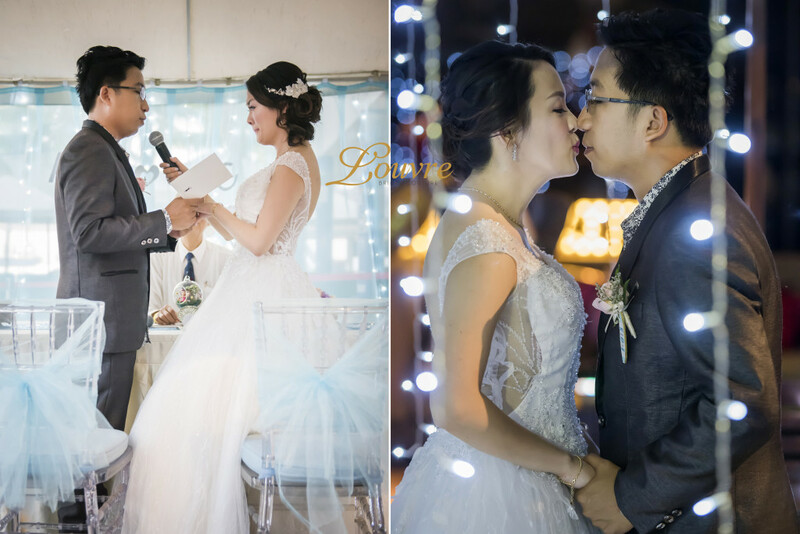 Just like many wedding couples who came to us without any wedding theme or idea in mind, Arthur & Crystal came to us with just their wedding venue confirmed, nothing else planned. 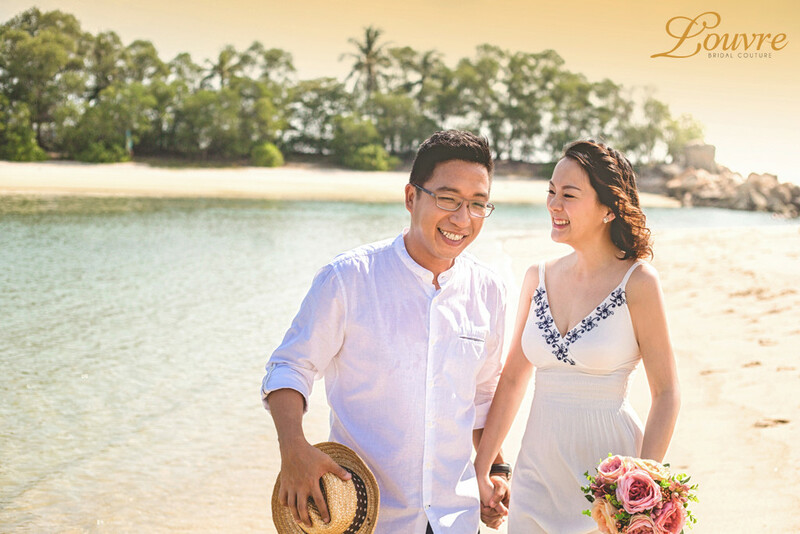 But fret not, let our experienced and creative team bring you through a journey of how brilliant ideas are developed and personalized for every unique couple. 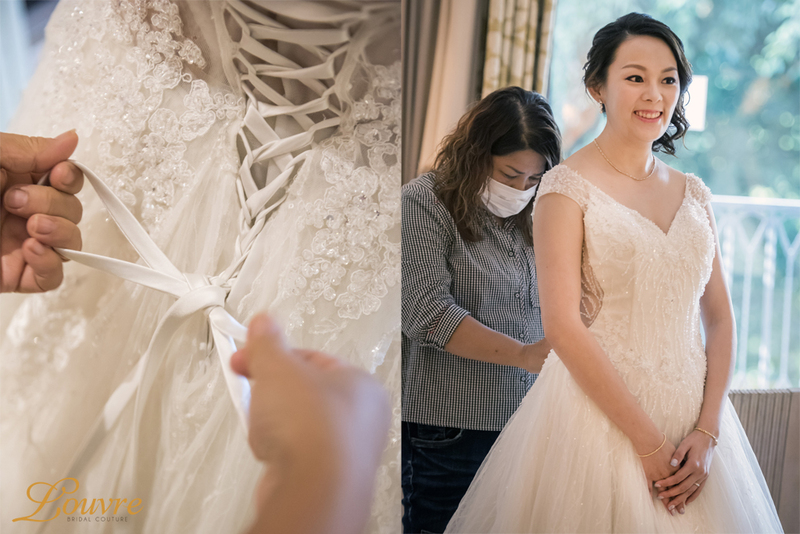 Today’s wedding of Arthur & Crystal will leave you inspired. 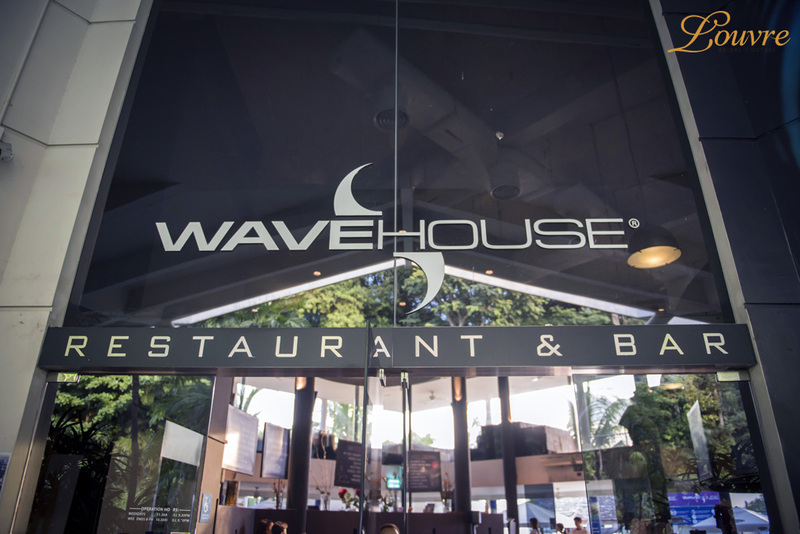 The Wavehouse at Sentosa was like love at first sight for them, as they wanted an unconventional wedding venue. Surely, this beach wedding was truly one that represents them. Initially, the pair was still contemplating whether to have a pre-wedding photo shoot. They are both camera shy and felt that posing for that bridal shot does not match their style. 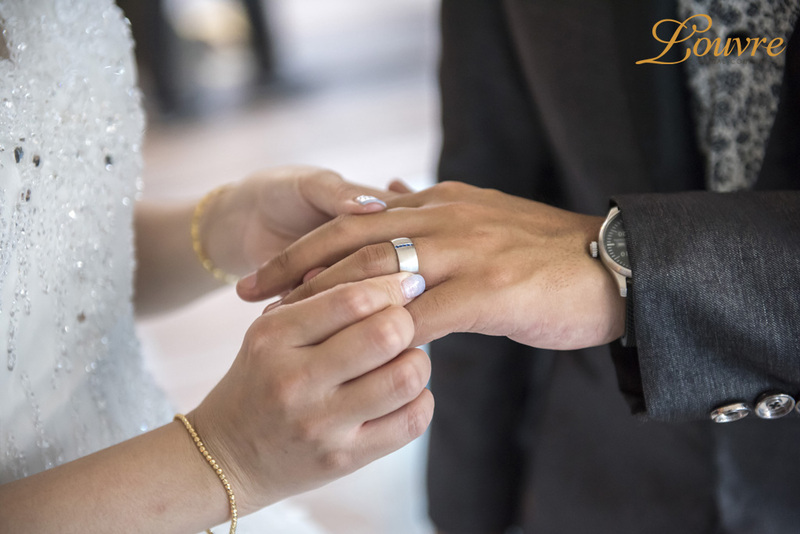 However, as ideas brew with our wedding advisor during the wedding planning session, we inspired them with lots of ideas and suggestion on how to create a personalized wedding theme that distinguishes them from other couples. 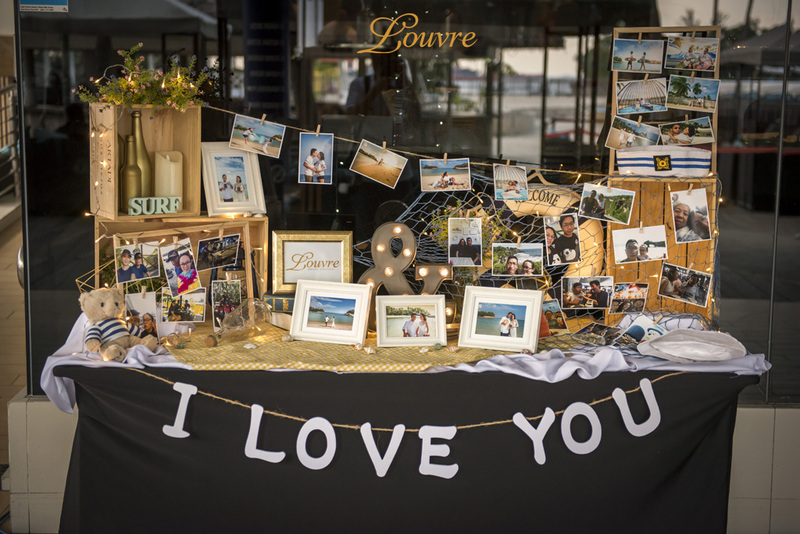 After about 3 hours of meticulous planning by understanding the couple’s preferences, hobbies, to ideas conceptualization, the wedding theme of a surfer paradise was eventually derived. 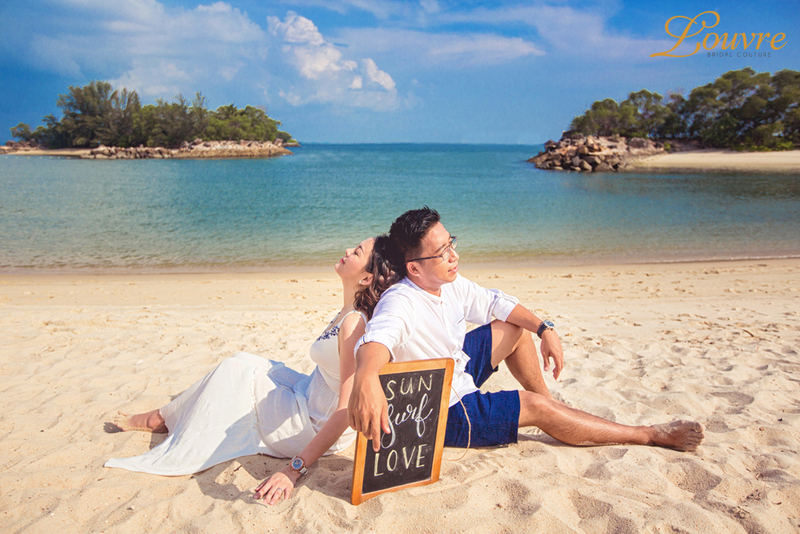 The casual pre-wedding shoot features colourful graffiti surfboards with our bride and groom chasing sunsets down the endless white sand beach. 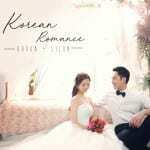 The beautiful backdrop of the shoot was set at the wedding venue itself to hold more meaning to the photo shoot. The attires planned were just casual outfits as we hope to inspire the couple to think of this engagement shoot as their date. After all, wedding photo shoots are meant to be enjoyable. Even though the outfits were from the couple’s own wardrobe, we take pride in careful planning with them to suit the overall mood and style that we wanted to portray with styling tips and suggestions provided. Just take a look at how the flowy dress sways away to the sea breeze. We hope to present this beautiful inspiration to other couples to re-create their dating times into their photo shoot scenes too. 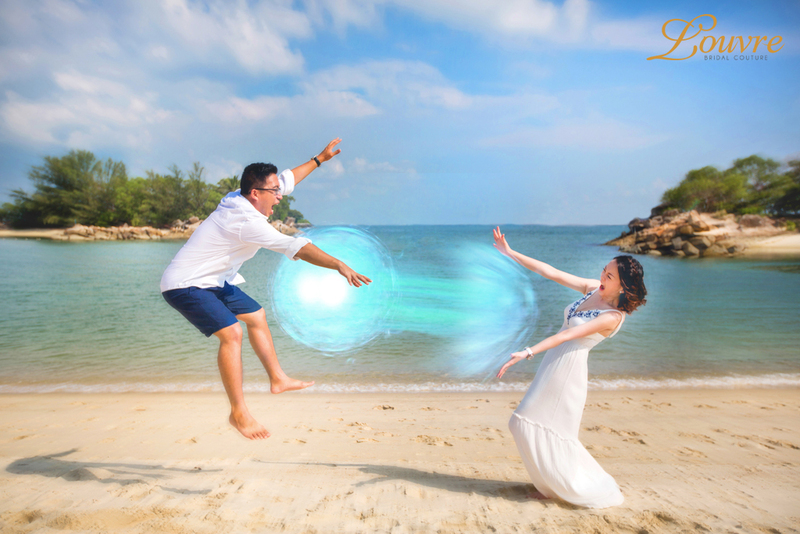 To make the pre-wedding photo shoot more personalized, our talented photographer had done special editing effects to fit the request from our fangirl and fanboy of Dragonball here. We’re sure this Powerball shot means a lot to them! 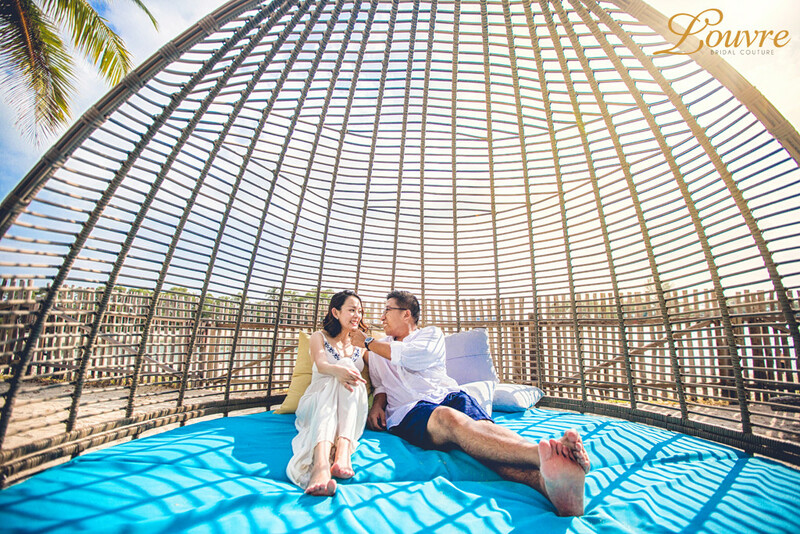 Set in the Siloso beachfront, Wavehouse is the ideal beach venue where you’ll want to seal your love promises with the soothing sound of the gently rolling waves. 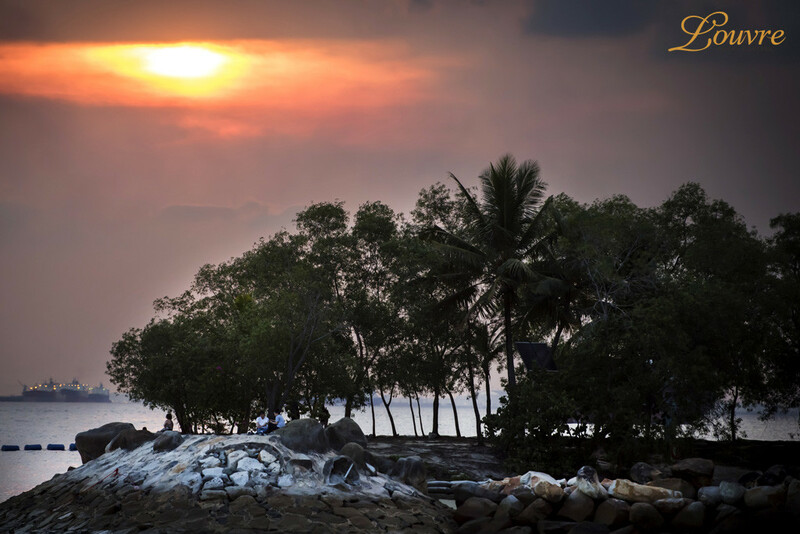 Amidst the extraordinary backdrop of sunset, Arthur & Crystal’s loved ones gather for an intimate celebration. When it comes to wedding décor, keep it fun, romantic and memorable. 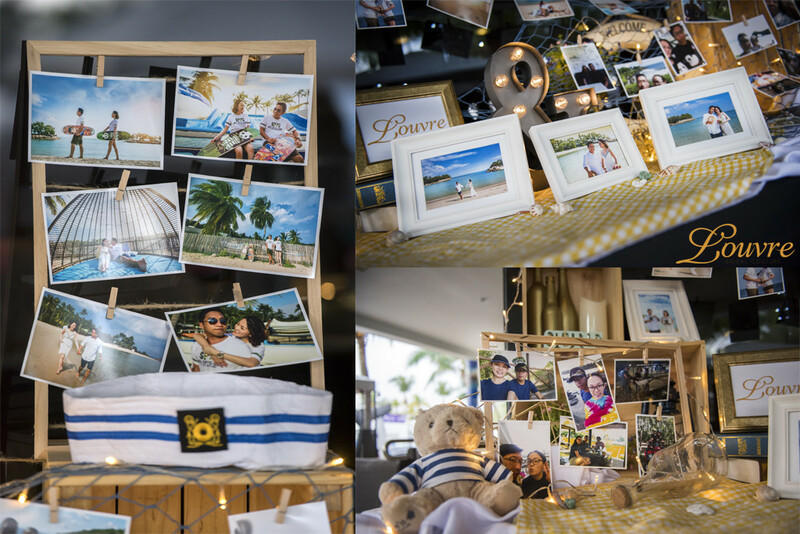 With the theme idea in mind, our very own styling team did up a marvellous photos decoration table for the wedding. A beach wedding table décor should be special with come pretty sea life added: think seashells, fishnets, starfish. With some twinkle of lights, the setup is pretty as it is when night falls. 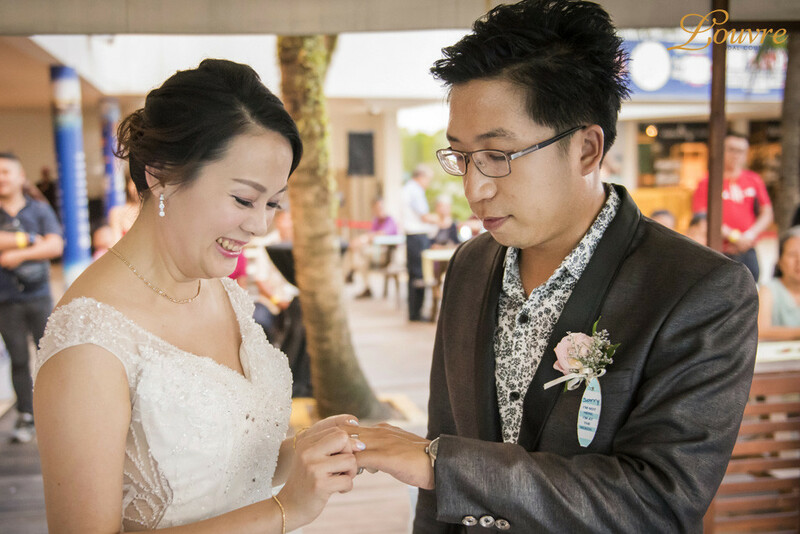 Other than the seashells and florals beautifully adorning the tables, the casual atmosphere is even more enhanced by the couple’s wedding attire. When it comes to wedding dresses, it is best to keep it simple and lightweight is always the way to go for such wedding venues. The sparkly embellishments and fabric seemingly replicate the crystal waters of the sea. Needless to say, these colours truly matched the entire wedding setup. 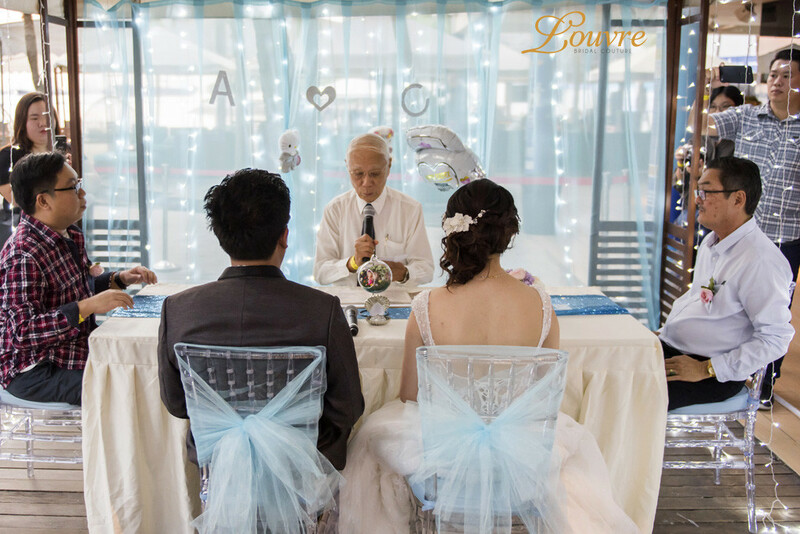 It is heart-warming to see when our couples adopted our suggestion to DIY for some items to enhance their wedding theme. 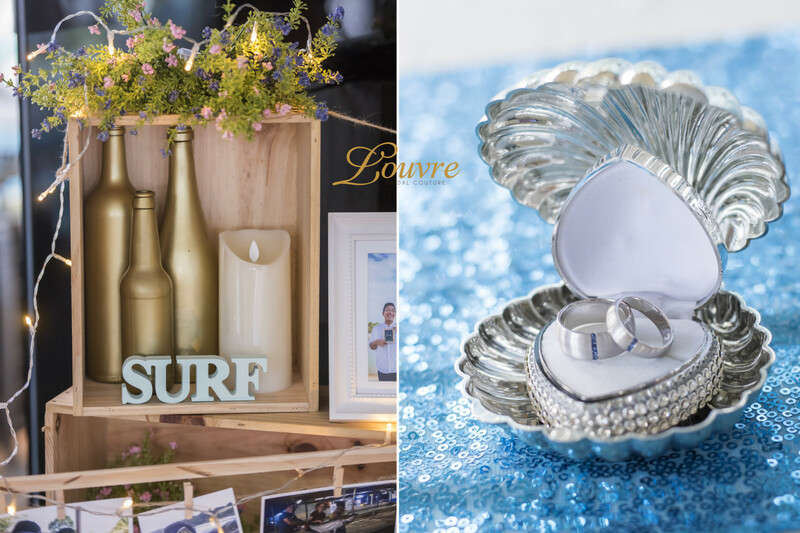 They even used a mini surfboard for the boutonnieres, handmade centrepieces with seashells and fairy lights and clamshell ring holder. We’re so happy to have inspired them in creating a wedding solely theirs! After the touching solemnization ceremony, they continued the festivity with a memorable celebration of wine and dine. 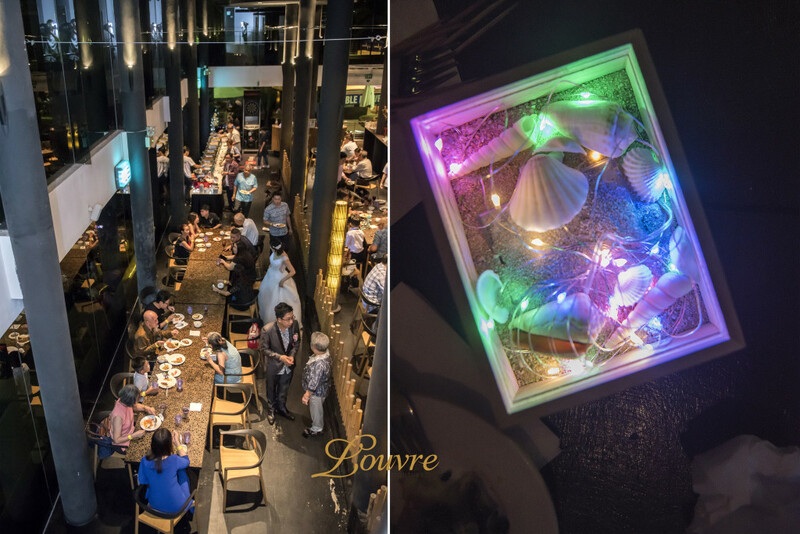 The night soiree felt magical as the pair and their guests mingled the night away. 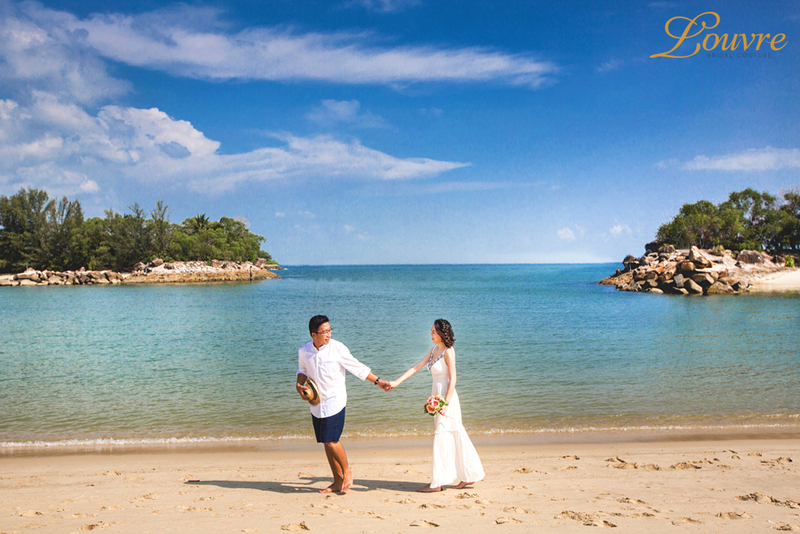 Every wedding dream can be made possible with a dedicated and passionate team to help you from our hearts. Personalize your very own wedding theme with us! Drop us an email to share with us your ideal wedding theme or drop us a visit to plan your wedding theme. Stay tuned for more wedding inspirations and tips!